Eco Friendly in a beautiful range of colours! 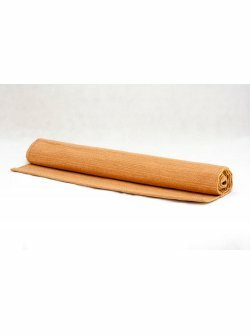 Our yoga mats are made in Germany. 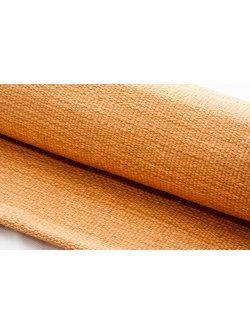 The mats are produced in an environmentally friendly manner, tested for harmful substances and certified at the highest possible standard. Meets the regulations (REACH) concerning the permitted substances on the European market. 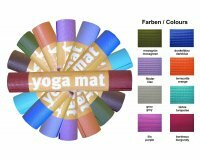 The mats are produced without phthalates only! They can be washed in the machine up to 40° Celsius. Colours available: Lavender, purple, hot pink, orange, saffron yellow, dark blue, grey, olive, burgundy standard size 185 x 60cm, 74 x 24” .. This is the best new yoga accessory around! 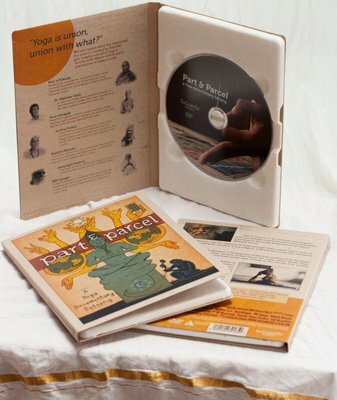 A wonderful tool that will deepen and refresh your yoga practice. 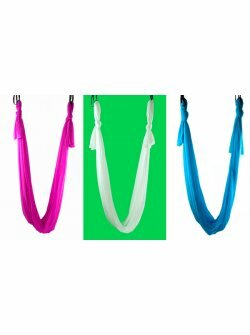 Yoga hammocks support your body weight and thereby allow you to achieve deep stretches and yoga postures in a more relaxing way as well as developing core strength. Allow gravity to do the work with you, decompressing the spine, opening into back-bends and so much more- great fun, strengthening exercise and deep relaxation in one. 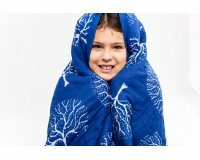 Children love them too! 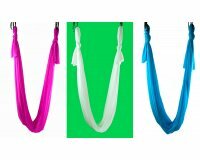 Our aerial yoga hammocks measure 5m x 2.8m and are designed to be hung from an aerial yoga rig, ceiling point or a strong tree. Our yoga hammock kits are complete, ready to be used. 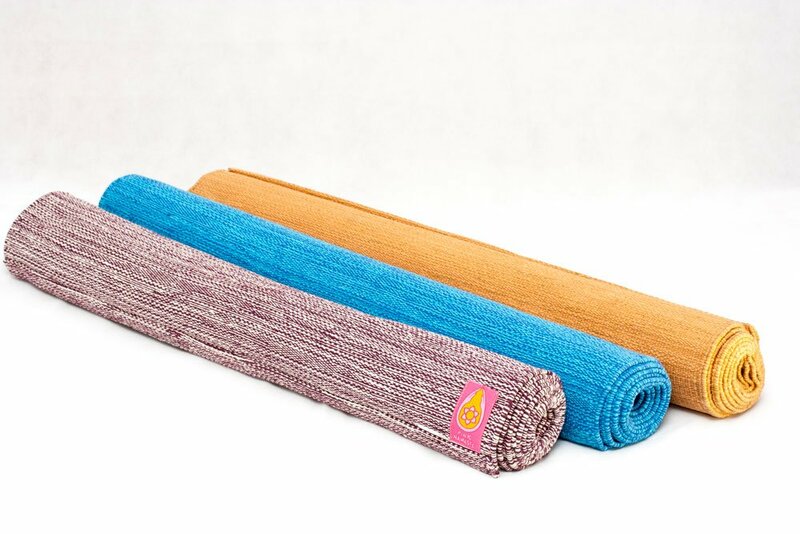 Choose your colour: White, Turquoise, Orange, PinkEach kit contains :5m x 2.8m high quality yoga swing fabric. Aerial silk is a fabric combining lightness and great weight bearing capacity. Our hammock fabrics are designed to be safe, slightly elastic, anti- skidding, non-electrostatic, anti-laddering and washable @ 30 degrees! These fabrics have passed CE certification for maximum loading capacity of 250kg.2 grey daisy chains. 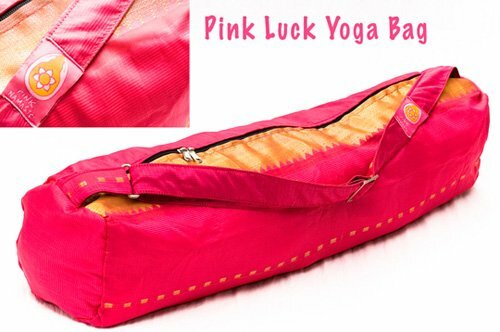 Allowing you to adjust the length of your rigging made from high tensile thread2 carabiners made from cast iron.1 PINK NAMASTE yoga bag made from sari fabric. ..
Reach new grounds! 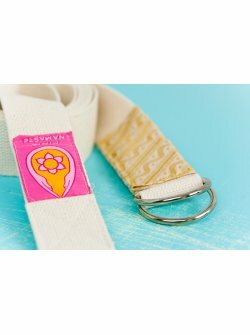 Supreme Utthita Yoga Strap Help with finding the ultimate stretch! 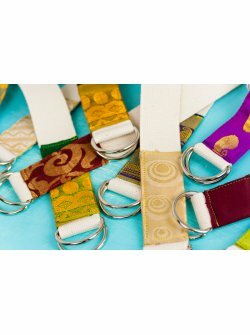 These yoga straps are made from very sturdy recycled cream cotton, finished off nicely with recycled sari material and high quality D-ring buckles . A lifetime's worth of stretching! Made in Tirupur, Tamil Nadu, South India according to fair trade standards Length: 2m, Width: 3.8cm /1.5”.. Contact us for more information on what we do and for wholesale inquiries. We cater to yoga teachers, independent yoga studios and boutiques. Exclusive pre-release version of the film! 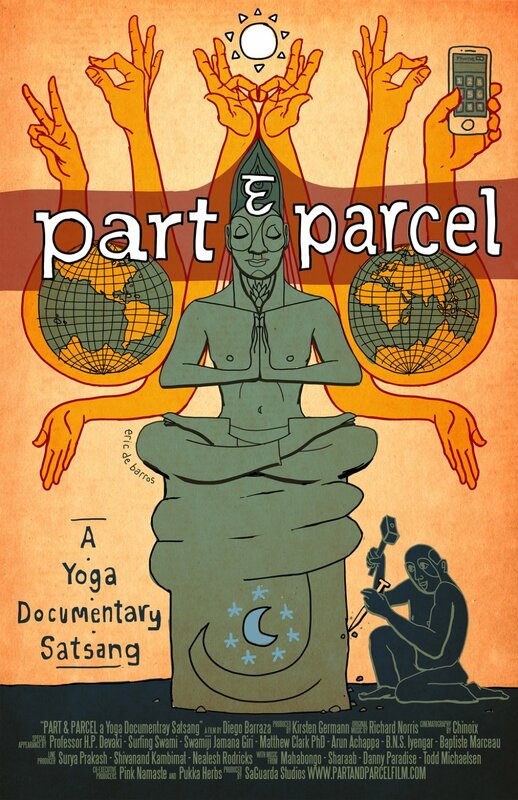 This documentary is for people who have been introduced to Yoga or are curious about its more profound aspects; people who want to be motivated and inspired to practice Yoga as a empowering way of life. 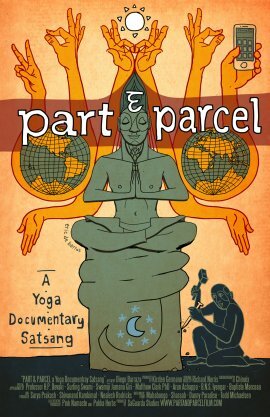 Part & Parcel is an intimate conversation with unorthodox characters who have dedicated their lives to the study and practice of Yoga in different forms. 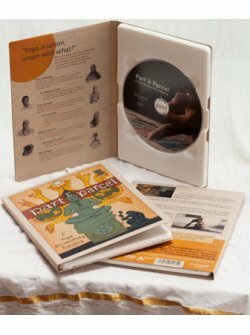 A personal glimpse into the essence of Yoga through their unique vision and our own journey looking for answers. Is it a religion, a fitness fad, a scientific discipline perhaps? Along the way, we will take part in the practise of the most traditional Sri Patanjala Yogashala temple in Mysore and venture further down the coast, where Bhakti Yoga, the yoga of devotion is practiced along with surfing, in the world´s first surfing ashram. From the pioneering academics in Britain to the Indian Swami living in a modern cave, we gain insights beyond the marketing stereotype and into the contrasting aspects of contemporary and millenary practices. Part & Parcel is a colourful collage of philosophy, history and personal paths into Yoga. We believe that we can be catalysts for change, doing what we love. It is time for new business models to replace the old. Since 2004, Pink Namaste supports small cooperatives, fair trade and traditional art forms. We aim to use recycled and organic materials in our manufacture, wherever possible. Completing the circle we support social and environmental projects in India. Up to date we have financed tailoring lessons for ladies near Mysore, training sessions in organic farming for tribal people in Karnataka, and are currently supporting the making of an organic garden farm near Mysore. We believe that business can be fun, creative and benefit everybody involved, from producers and managers through to customers. Help us to grow the circle of love by enjoying our products, becoming our friend and telling people about us. We live Yoga and we also organize Yoga workshops and fund-raising events.